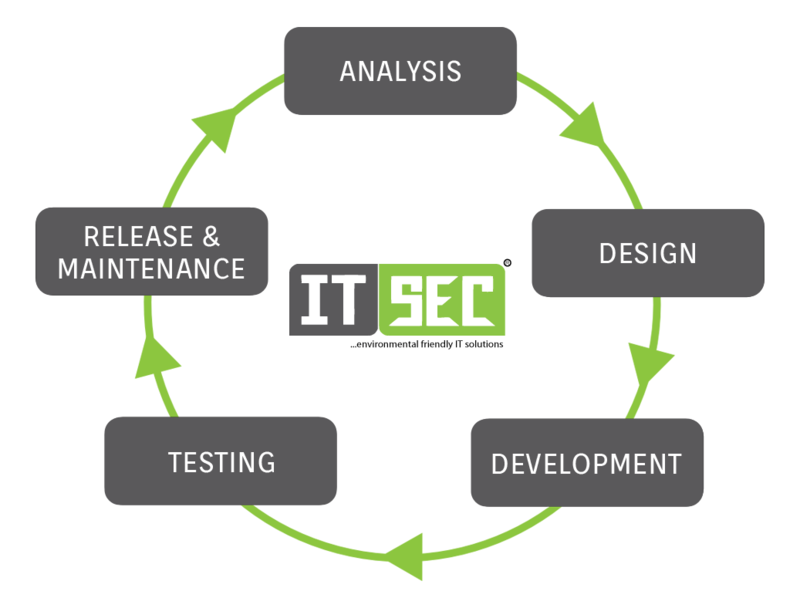 ITSec’s approach is as flexible and personal to the client as you would ever wish for. The quotation method is either fixed or ad hoc, for the flexibility for the clients. With our comprehensive planning and consultancy every single element of the project is disclosed before signing-off. For each individual project to the client analysis, design, development, test, deployment, training, operational procedures, documentation and support are the areas provided. Our Project Managers work from a detailed plan keeping in mind all the details and stages of the customized project so that they can fully assure you on-time project delivery and within the agreed budget. For the current projects, ITSec links the potential client’s site with our development centre through a secure VPN, this is where our developers work directly under your supervision. It means that our staff are almost on-site with yours yet working in the most convenient and cost-effective way. This approach has the potential to saves hundreds of thousands in costs giving our clients peace of mind and the ability to scale up their IT for maximum leverage. ActiveX, ASP Broadvision, CGI, Cold Fusion, CSS, DHTML, E-commerce Platforms, EDI, Electronic Payment, HTML, IIS, Java, Perl, Security, VBScript, Visual J++, VRML, Web Master / Developer, Web Servers, WebSphere, XML/XSLT, PhP. Access, SQL, SQL Server, Sybase, Capacity Planning, Database Administrator, DB2, FileMaker, Fox Pro, Informix, Oracle, Progress, MySQL.